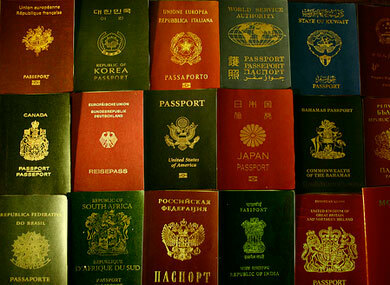 According to the State Department, “Beginning June 10, when a passport applicant presents a certification from an attending medical physician that the applicant has undergone appropriate clinical treatment for gender transition, the passport will reflect the new gender.” Applicants can also obtain “a limited-validity passport” if the physician’s statement shows they are in the process of transitioning to a new gender. No additional medical records are required, and gender-reassignment surgery is no longer a prerequisite for passport issuance. Activists hailed the move as lifesaving for trans individuals, who will no longer face the risk of being “outed” by a gender designation that is out of alignment with their gender identity. “It’s going to save lives,” said Mara Keisling, executive director of the National Center for Transgender Equality. “It’s actually dangerous to get outed in some foreign countries as transgender. I’ve had friends who were harassed because their gender marker didn’t match who they appeared to be.” She added that the passport will also be helpful in states that have “antiquated” gender designation policies for drivers licenses. A Consular Report of Birth Abroad can also be amended with the new gender for American citizens who were born in foreign countries. Keisling said the change was long overdue and an issue trans advocates had been working on for 10 years, but she added that the policy change came faster during this administration than she had anticipated. Though the policy represents a major advancement for transgender rights, Keisling noted that it could be a more “perfect policy” if the gender change required only a self-declaration by a trans person rather than requiring a physician to weigh in. The changes are based on the recommendations of the World Professional Association for Transgender Health, the recognized authority in the field, according to the statement.